An 11-year-old Urbana boy collapsed and died while playing basketball on Saturday. 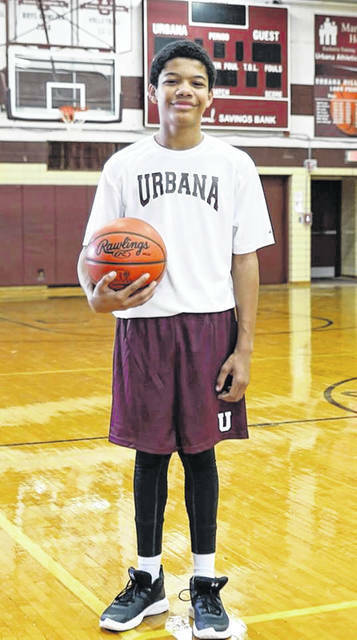 Troy Byrd was playing in the Champaign Family YMCA gymnasium when he collapsed. A 911 call was placed from the YMCA at 5:44 p.m. and Byrd was declared deceased at 6:43 p.m. in the emergency department at Mercy Health – Urbana Hospital, according to information from Champaign County Coroner Dr. Joshua Richards. The preliminary autopsy findings did not show a specific cause of death, but microscopic and toxicology studies are pending. Byrd likely suffered a sudden cardiac death, according to Richards. Byrd had no pulse when Urbana EMS arrived at the YMCA. Staff at the Y attempted cardiopulmonary resuscitation (CPR) on Byrd and paramedics continued the CPR en route to the hospital, but ultimately it was unsuccessful. Byrd’s body was sent to the Montgomery County Coroner’s Office for an autopsy and toxicology analysis. Byrd is the second young male in 14 years to die while playing basketball at the local YMCA. On March 10, 2005, 13-year-old Christopher Miller died under similar circumstances, according to Richards. At that time, Miller’s death was ruled “acute coronary insufficiency.” More recently, the coroner’s terminology for such events is called sudden cardiac death. The Champaign Family YMCA is marking its 20th year of existence this year and its gymnasium is a popular spot during the cold months for basketball players of all ages. According to a statement issued Sunday from Champaign Family YMCA CEO Paul Waldsmith, “Yesterday afternoon, Saturday, January 26, an 11-year old boy suffered a medical condition while playing basketball in the Y’s gym. Troy Byrd received immediate attention by Y staff, who called 911, and provided first aid and CPR until the first responders arrived. He was transported to Mercy/Urbana Hospital; the hospital informed us that he had passed away last night. Coaches, family and friends of Byrd were publicly grieving his sudden death by posting, commenting and sharing on social media beginning on Saturday evening and continuing on Sunday. Urbana City Schools provided guidance counselors for students grieving Byrd’s death. The YMCA provided access to mental health counselors for its staff after the tragedy.